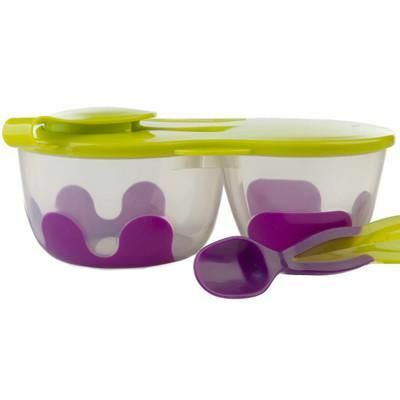 With two separate compartments that seal separately, you’re able to serve different foods. Also great for crackers and dip, little sandwich shapes and berries. Fab for all ages and stages. 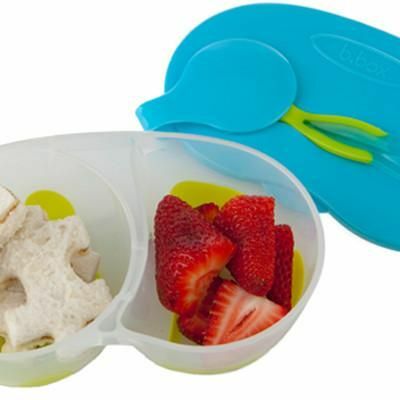 Handy spoon stows away in the lid.